If you don’t want to spend your life cleaning, use these cleaning tips to speed clean your deep spring cleaning, like a cleaning professional. Some people hate cleaning, avoiding it all costs, until the clutter and mess and grime drive their anxiety up enough for them to go on a mad cleaning spree to get their home in tip top cleanliness once again. It’ll likely be several more weeks or months until certain parts of their home are this clean again. Other people want to avoid spending an entire day deep cleaning their entire home, so they opt for a regular cleaning schedule or routine so that the general level of cleanliness is acceptable, at least most of the time. And a few people have spotless homes. All the time. Don’t ask me how they do it. I am not one of those people! (I’d like to blame the kids, but it’s not 100% their fault, if I’m being totally honest). Wherever you lie on the spectrum of cleanliness and cleaning drive, it’s helpful to have the right tools and knowledge so you don’t waste your time using cleaning products or cleaning techniques that simply don’t work. I want to help you have a clean home and still do other things with your life. There are at least 7 basic cleaning tools every home needs: brooms & dustpans, mops, dusters, brushes, sponges, cloths, and a cleaning bucket. If you have carpet, upholstery, or soft furniture, I’d definitely add in a vacuum too. It’s important to note that even the cleaning tools need to be cleaned out regularly to ensure they are actually cleaning, instead of spreading around more germs and grime. There are host of companies that sell cleaning tools, all of which will have slightly different properties that you’ll like a little better (long or shorter handles, colors you like better, scrubby textures that last longer, etc) and it will just be a matter of finding what you like and can afford that will do a great job in cleaning your home. A steam cleaner machine is a great tool to help in the bathroom as a steam cleaner can be used to easily remove hard water stains, clean grout, remove odors, and sanitize floors and countertops. A steam cleaner is a great chemical-free way to clean your kitchen. I found it does a great job cleaning a dishwasher too! I have found that a simple Mr. Clean Magic Eraser is great for cleaning bathtubs and countertops in bathrooms. They are very easy to use as you don’t need to let anything sit or have to rinse anything off when you are done, both of which are a pain when cleaning a bathroom. Of course they are also great when you need to remove crayon from walls. As simple as using a microfiber cloth and a glass cleaner of some kind, and you’ll find a streak-free mirror, and a beautiful you looking back at yourself in no time! If you want to really shine up the chrome and whiten the porcelain sinks and tubs, use some Bar Keepers Friend. It’s one of my very favorite cleaning products and works great in the bathrooms on tubs, sinks, counters, and chrome. I also use it in the kitchen to shine up nasty stainless steel pans, to remove scratches from dinnerware, clean copper bottom pots, and clean stove drip pans. Spritzing some vinegar on your hard water stains and buildup helps them disappear! Love using a little vinegar to clean your faucets, shower heads, drain stoppers, and other metal or glass surfaces in the bathroom. Vinegar is a great deodorizing and cleaning agent. I’ve used vinegar to clean copper bottom pots, clean a dishwasher, remove rust from a bike, and clean stove drip pans. This is some powerful smelling stuff, but man does it does Ammonia works wonders on stubborn burnt on stove drip pans, grills, remove blood stains, removes lip gloss stains, and more! With its ability to kill mold, germs and bacteria, whiten surfaces, and sanitize, bleach is still an amazing cleaning agent to keep and use around the home. Hydrogen peroxide, the cleaning agent that comes in a hard colored bottle, is anti-bacterial, anti-fungal, anti-mold, and anti-mildew! It’s also non-toxic. And it works great for a host of cleaning jobs around the entire home. I found it removed pee stains from a mattress amazingly! The kitchen is the hub and lifeblood of the home. It is best to regularly (like every time you are in it) clean the kitchen as the mess can quickly pile up and cause critters to come crawling or flying if we let this room go for too long! I like using a basic household cleaning schedule with specific tasks for the kitchen each day so I stay on top of it! One of the dirtiest rooms in the house, and one that the majority of people hate cleaning regularly is the bathroom. Use these bathroom cleaning tips for making it not so dreadful and stinky. Steam Cleaner. Perfect for cleaning grout and toilets! Glass CleanerAs simple as using a microfiber cloth and a glass cleaner of some kind, and you’ll find a streak-free mirror, and a handsome you looking back at yourself in no time! Bar Keepers Friend works great on the chrome, porcelain, tubs, and counters. Vinegar for shining up chrome, cleaning faucets, and removing hard water stains. Ask yourself this question before buying anything! If you are like many people, you tend to get this itch around the changing of the seasons to open the windows, dust that cobweb that’s been hanging in the corner all year away, and clean your appliances: you get the spring cleaning itch! Use the following to check out how to systematically go about spring cleaning your home and how to get everything all shiny-like again. If you are a mom, like myself, cleaning goes to a whole new level of difficulty. Kids challenge the best of us to keep a home in working, let alone, clean order. It’s amazing how fast a room can go from perfection to bedlam. The following cleaning tips are especially suited for parents, grandparents, or caretakers of little kids. Give kids, even 3 year olds, chores to do. 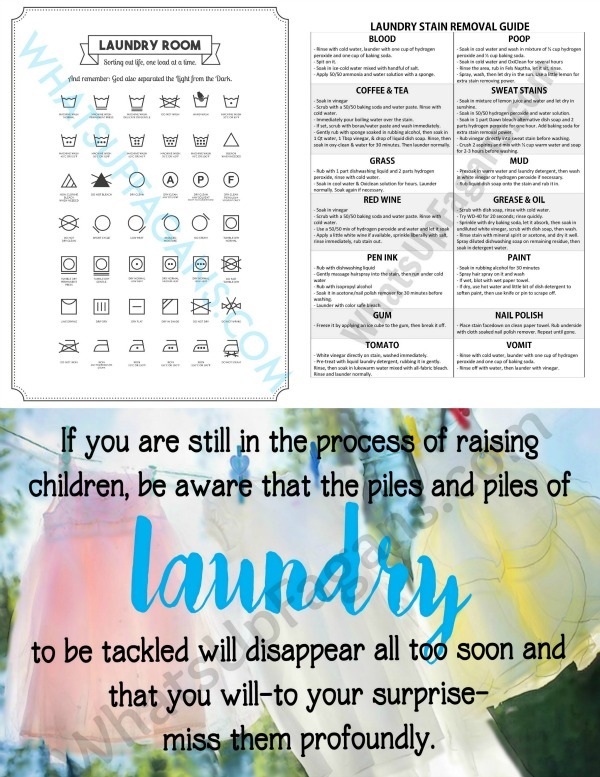 Use a simple chore chart. For all of my best cleaning tutorials in one easy to use and reference resource, be sure to check out my Speed Clean the Deep Clean: A Collection of Time-Saving Cleaning Tutorials and Tips for Busy Moms!